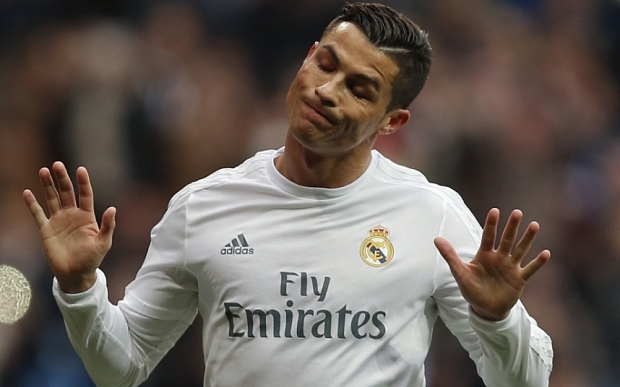 Has Christiano Ronaldo dump Football for Martial Arts? 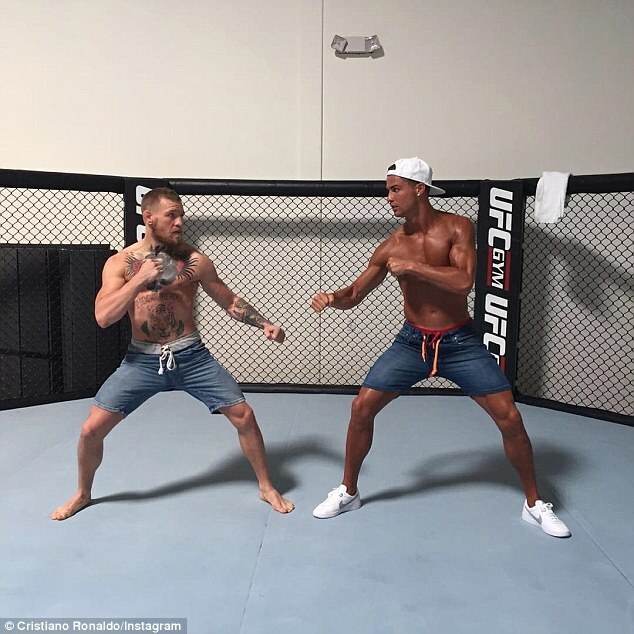 Never shy of whipping off his t-shirt for the cameras, a heavily-tanned Cristiano Ronaldo posed in the octagon for a dramatic fight snap with UFC monster Conor McGregor at the weekend, Daily Mail writes. After a memorable summer where he won the European championship with Portugal and an 11th European crown with Real Madrid, CR7, 31, is on holiday in America and took some time out to meet the Irishman as he prepares for an eagerly anticipated return to UFC. The Real Madrid superstar then posted the photo on Instagram with the caption: “Great to see you bro”, while another picture of Ronaldo was later shared by McGregor’s coach John Kavanagh. McGregor, who is just one month away from his rematch with Nate Diaz in Sin City, also posted the image on Instagram with the message: “My brother Ronaldo dropped by the gym today. He is an animal. 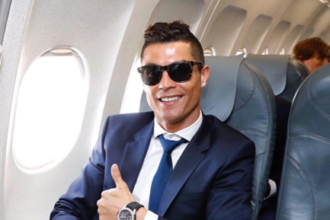 Apart from McGregor, Ronaldo was also spotted partying with pop great Jennifer Lopez at the Planet Hollywood after watching her concert during the weekend.